Calissons are tiny petal-shaped cookies made from the produce of the region: melons and almonds, and usually flavored with orange, although we also found indigenous fig and lavender varieties. 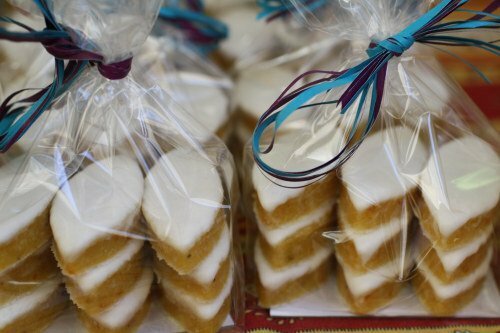 The chewy marzipan-like base is coated in a simple, crisp white glaze. They are sweet, yes, but still have that nutty, fruity reprieve of something healthier that might have been found in California.